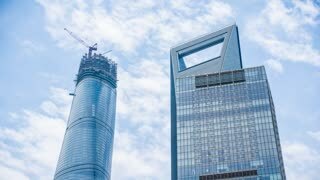 Search Results for "world financial center"
Shanghai World Financial Center as the Tallest Structure on Mainland China. Flying near the top of the building. NEW YORK CITY, USA - JULY 05, 2015: Clouds pass over the downtown Manhattan skyline featuring the World Financial Center (Brookfield Place) and One World Trade Center (Freedom Tower). 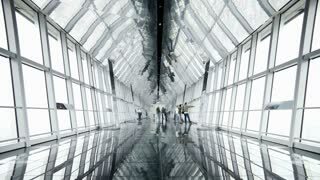 Time-lapse of one of the tallest buildings in the world in Taipeh, Taiwan. HONG KONG, HONG KONG - APRIL 10,2017 : Ferris wheel and skyscrapers Hong Kong. Hong Kong is one of the most developed financial and tourist megacities in the world. Night View of Canary Wharf and Thames River Reflecting Skyscrapers Lights. Nightfall Canary Wharf Skyscrapers Facade and Curtain Walls with Office Lights. Canary Wharf Skyscrapers Lights and Thames River Flowing in a Wide Night View. Canary Wharf London Financial Center European Offices Skyscrapers Silhouette. Night London view boat sailing Thames river downtown financial center lighted. 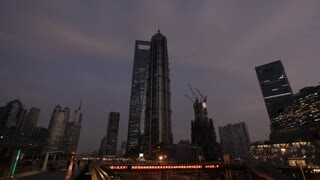 Early morning scene of Pudong, the financial center and modern business district in Shanghai. A man pulls a string of small kites through the video. London Downtown Financial Center Corporate Buldings Glass Facade Image. Zoom Out Shooting with Canary Wharf Office Buildings in Sunset Light. ZURICH, SWITZERLAND - JULY 04, 2017: View of historic Zurich city center, Limmat river and Zurich lake, Switzerland. Zurich is a leading global city and among the world's largest financial center. ZURICH, SWITZERLAND - JULY 04, 2017: Citizens and tourists walking on the streets of Zurich, Switzerland. Zurich is a leading global city and among the world's largest financial center. ZURICH, SWITZERLAND - JULY 04, 2017: View of Zurich lake, Switzerland. Tourists photographing near the lake. Zurich is a leading global city and among the world's largest financial center.